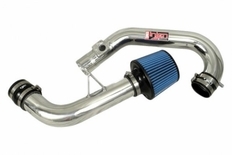 2012-2016 Subaru Impreza 2.0 Injen Cold Air Intake4AdamDecember 3, 2015Bought this for my 2015 Subaru Impreza Sport 2.0(manual). Fits great and really works very nice with the Borla axle back. The part number for this item is SP1225P and it fits 2012-2016 Subaru Impreza 2.0 models.